Home Busch Gardens Tampa Check Out Our RMC "Twisted Tigers" (RMC Gwazi) Concept! We've had some fun over the past couple weeks creating this Gwazi revamp, and are quite happy with the result. 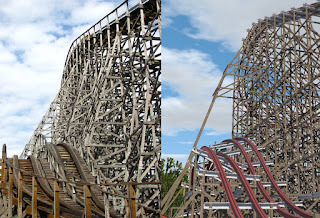 In case you aren't aware, Gwazi is most likely going to be transformed into an RMC. It's a great time to be in the middle of Florida as major attractions are beginning to take shape in every major theme park, competing to out-do each other each and every year. 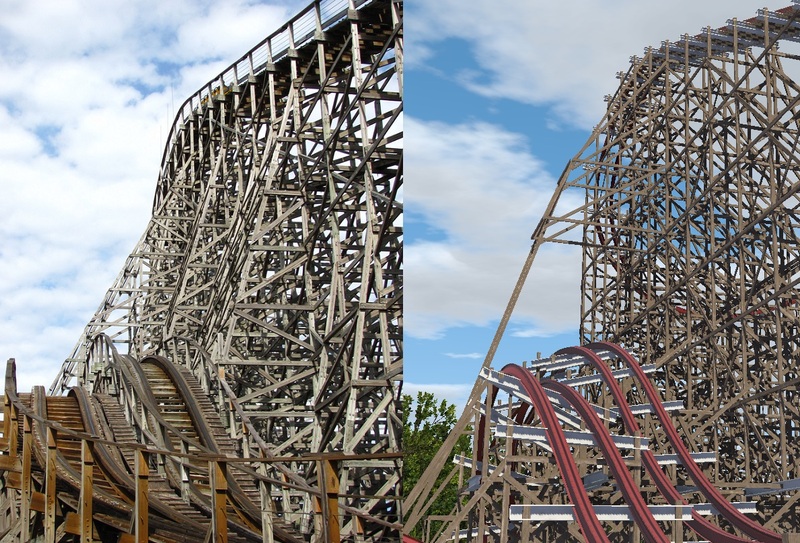 Thrill seekers finally have their answer to Dueling Dragons, as Busch Gardens takes on Twisted Tigers, a massive dueling steel coaster with wooden supports. Smooth and out-of-control are what you can expect out of this monster! We've made two separate tracks here as we feel the ride is quite long and deserves two separate queues! It also brings the coaster count higher for the park and allows one coaster to be operating if there are issues with the other. Busch Gardens deserves two coasters in this massive plot of land! This layout is incredible for RMC and it truly could be the best RMC to date because of the innovative layout they have to work with. The layout created for this concept is made using an overlay for as much accuracy as possible. The height also follows the previous height of Gwazi very similarly throughout the layout. It allows interlocking corkscrews, a high-five element, and many high-speed fly-by's. We cannot wait for this ride! Thank you Great Coasters International for creating such a masterful layout! We'll be a bit disappointed if Rocky Mountain Construction doesn't include the high-five element, it's just too perfect of a fit! It's an incredible time for the theme park and coaster community as companies keep pushing the limits of fun and possibilities. What many said wasn't possible is actually happening here!